Under 'Jobs & Orders,' select 'Sales Orders.' 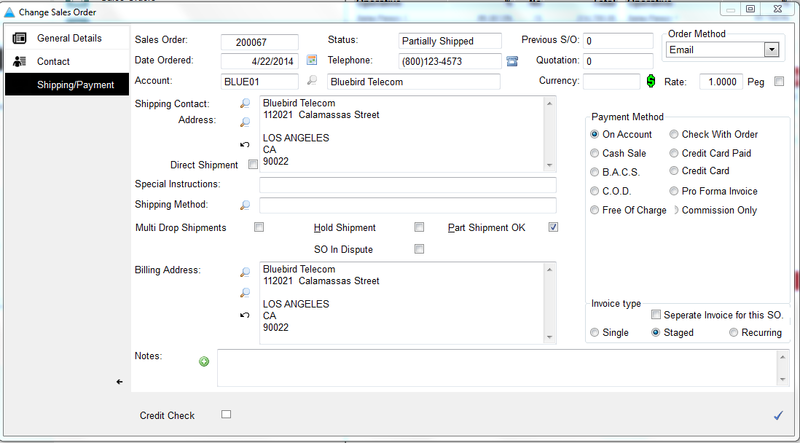 Double click the sales order to wish to produce staged invoices for. Click on the Shipping/Payment tab. Click 'Staged' under 'Invoice Type' and click the blue check. Make sure the details are correct. 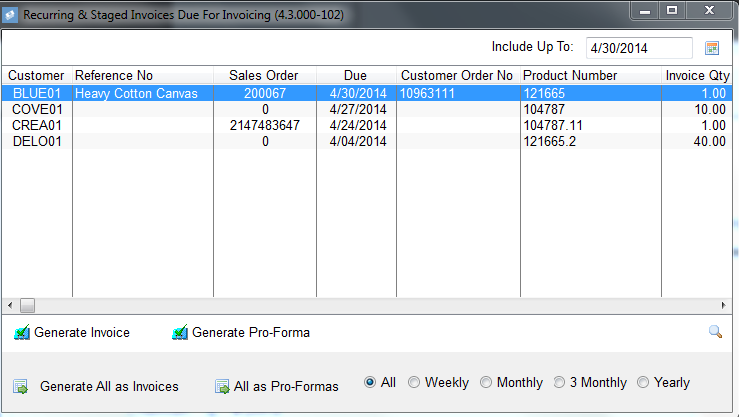 Pay particular attention to the number of stages & invoice date fields, then press the next arrow at the bottom. 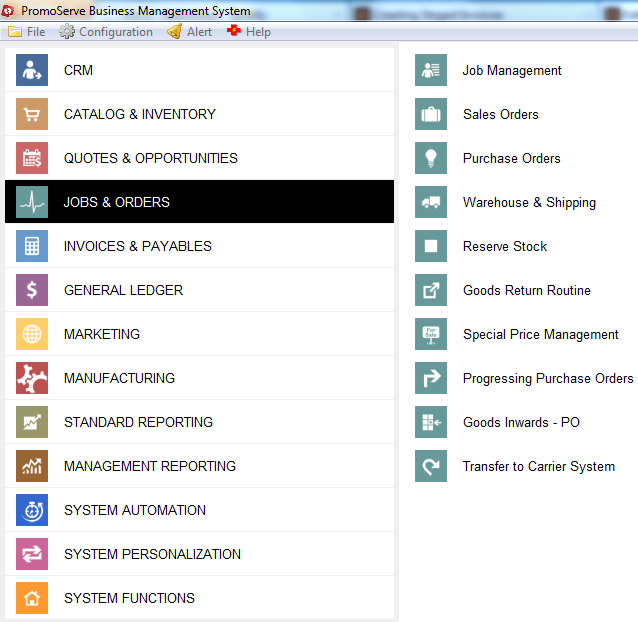 On this screen you can review or change the details of each stage of the invoice. Double click in each field. If you change a percentage or value, the system will recalculate the remaining information. When finished, click the checkmark at the bottom. Review the staged invoice and make any further amendments. Click the checkmark when finished. To raise the invoice, go into your sales invoices screen and press 'Recurring INVs' button at the bottom. Choose the date you wish to generate the invoice to, then press 'Generate All Invoices'.